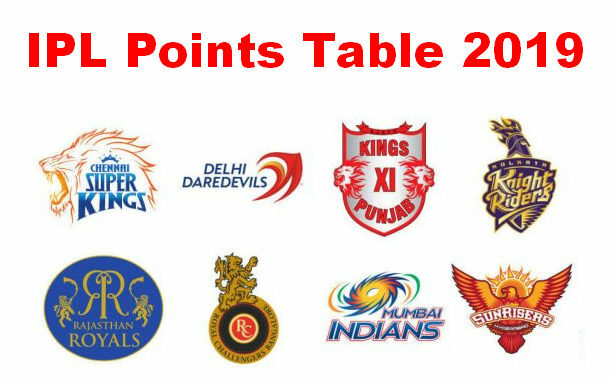 Indian Premier League 2019 have some rules and regulations related to IPL Points Table 2019 decided by BCCI. it is divided into two parts i.e. 1. Winner Team will get 2 Points in IPL 2019 Matches. 2. Due to some reasons if results can’t declare, then each team will get 1 point. 3. If the match was tied and there are no chances for completing a super over, then Both team will get single points in IPL 2019. 4. If points are equal, the team with the most wins will be placed in the higher position. 5. If there are teams with equal points and equal wins, the team with the higher net run rate will be placed in the higher position. 6. If still equal, then the team with the higher number of wickets taken per fair balls bowled in the matches played in which results were achieved will be placed in the higher position. 7. If still equal then the team position will be determined by drawing lots. If any of the Final, the Eliminator, Qualifier 1 or Qualifier 2 matches are tied, or there is no result, the following shall apply. 1. Teams shall compete in a Super Over to determine the winner. 2. If conditions do not permit a Super Over within the time available or if the Super Over is tied, then the team which, at the end of the relevant regular Season, finished in the higher position in the League table will be deemed the winner of the relevant play-off match.